Hopefully this hasn't been posted already, but this report makes for miserable reading if the predictions are right. Looks like my LS60 might be waiting a bit longer before showing me what it can really do. Wonder if Space Weather forecasters are any better than terrestrial weather forecasters. what do thay know eh , tomorrow hasnt been wrote yet. think + and everything will be allright honist. charl. Couldn’t agree more. There is always something happening. The 60mm will pick out stuff that just won’t be visible in 40/50 mm scopes. 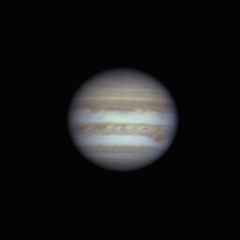 I have observed a blank limb with my PST in 40mm guise, then tried it at 100mm only to find a forest of delicate proms. 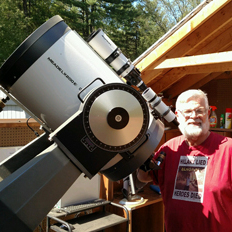 The only thing in the Astro world that cant be cured by a bigger scope, is a bad back! Forgot to say. Great shot Jeff. Loads of detail! <Sniff> Just when I thought I was getting the hang of this solar "thingy." Mind you, I will save a fortune on sun block! The neighbours already think I'm an Australian cricketer.